Time has come again to join forces to gather common stand points and arguments to feed into the “Public consultation on EU funds in the area of investment, research & innovation, SMEs and single market” as well as to forthcoming consultations and negotiations regarding FP9. 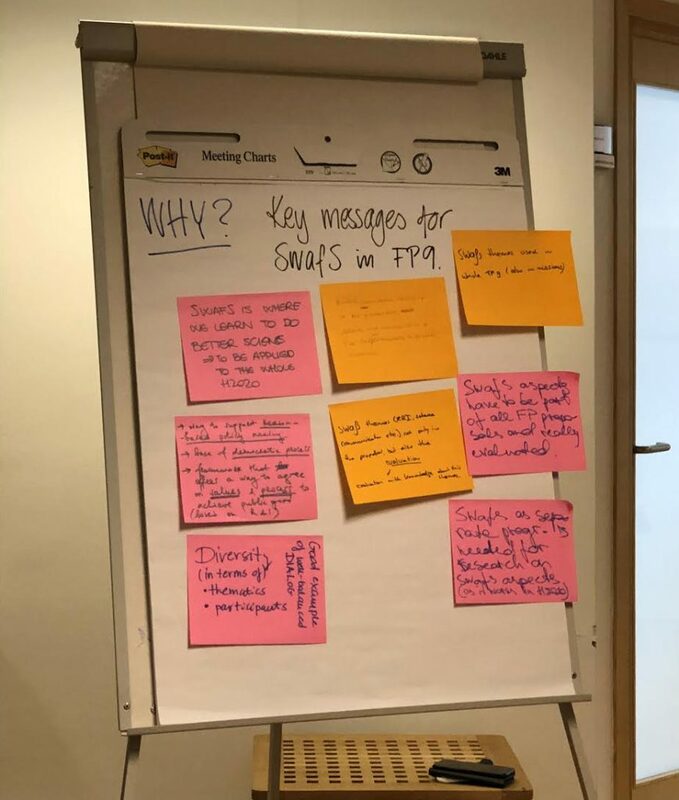 Today we outlined the most important issues of SwafS/RRI and Open Science that should be included in FP9 and made plans how and when to discuss, together with representatives of the European Commission and members of the European Parliament, the SwafS programme’s role beyond Horizon 2020. The event was organised by SiS.net2, and our friends at the Swedish National Advocacy Platform for SwafS.